It’s time for the 2018 version of Nick and Rob’s annual Turkey drive. This is our 16th annual turkey drive! and we hope you’ll join us in helping needy people in our community. 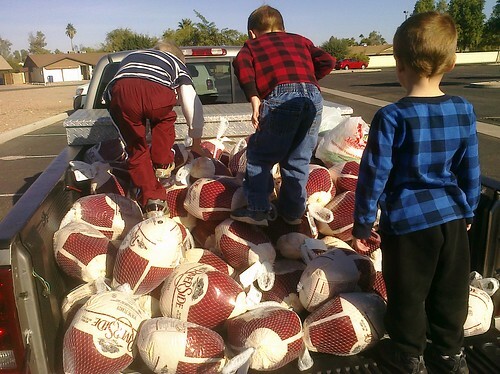 If you are able to donate one dollar or a hundred ( or more), we purchase frozen turkeys all at once for delivery to the Tempe Community Action Agency on Monday November 19th. Over the years, we have found this the easiest way to help the most people. I can give you my address or I can pick up donations up until Sunday November 18th. You can always email me at nick (at) nickbastian (dot) com or contact me for more info! I am out and about a LOT, so it makes picking up your donation pretty easy! If you are in Tempe, donations can also be dropped off at my office between 9:00 am and 5:00 pm Monday-Friday, just let me know if you need directions. Over the years, we have been able to deliver a LOT of turkey for needy families and it just feels so dang good to do so! Big thanks to Rob Sell at Sell Home Inspections for all he does. Rob ( and his truck ) is a huge help in hauling all of these birds. We both have a BLAST delivering birds every year and want to thank you for your donations to such a great and rewarding cause. We will be delivering turkeys to the Tempe Community Action Agency on November 19th, 2018. Yes, I said November 19th and no, that isn’t much time to raise money so PLEASE contact me SOON if you are able to help. The Tempe Community Action Agency does such a great job in helping the needy people in our community. I sincerely hope you will join us! 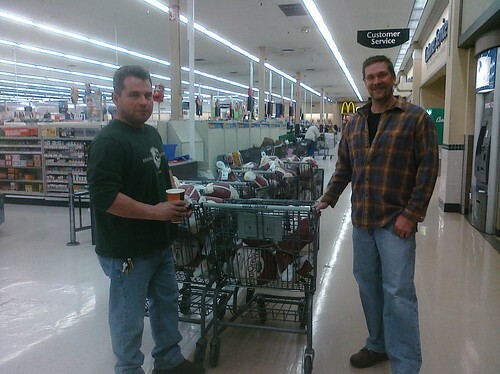 5 shopping carts FULL of Turkey! Drop off points: We have a couple of different drop off points to help make it easier for you to donate money. Remember, any amount helps. We buy turkey at the seasonal sale price, so even $5-$10 dollars can be very helpful. The map below shows where a few of our friends are located. 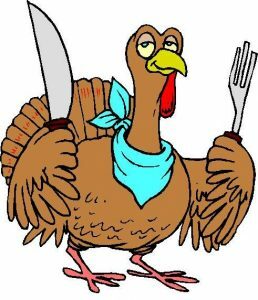 If you are a business or organization ( that I know and trust ), please let me know if you would like to help us out with our turkey drive so that we can add you to the map. Even if one of these locations isn’t convenient, please contact me and one of us will be glad to meet you. Thanks so much for all of your generous help over the years. Together, we are able to help a lot of people. If you have ANY questions or want to know how easy it is to help families this Thanksgiving, please call us at 602-803-6425.